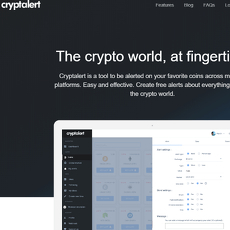 9+ Cryptocurrency and Bitcoin Price Trackers - Cryptolinks - The World's Best Cryptocurrency Sites List! The popularity of blockchain and crypto trading cannot be overemphasized in this generation, as the market is geometrically increasing every passing day by adding to itself and spreading its tentacles to every sphere around the world. The digital market and particularly cryptocurrency have now become a major determinant of the world’s financial system. It is now an integral factor to consider when making the most serious decisions in the digital and the financial world. Different companies are rising each day in a bid to enjoy the best part of cryptocurrency trading. Coins are coming into the market every day and are causing a serious expansion in the market economy. As it stands, there are way over 700 crypto trading coins that are presently in existence. Some of these coins are very relevant while some other ones are just by the way and falling into their hands can be very disastrous. As a trader or an investor, the need to know the level of relevance of each coin in the market is very important. This will go a long way in helping them calculate how best to trade and invest and to know which of the coins can be trusted and which should be run away from. As numerous as the coins which are presently available are, some of them are way more reliable than others. 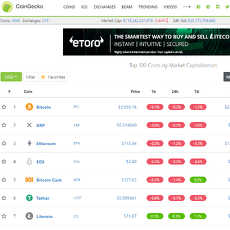 It is, however, very dangerous to sideline any coin and tag it as being useless because no one knows how best the coin can be very impactful in the future, take for instance, Ethereum which started out to be one of the least coins available with barely any relevance in the crypto niche has now found its way to the top, competing with the best of the best and staying up to be relevant in the digital marketing field. As much as it is not easy to predict the way the market will be towards a particular coin, there are some coins that are almost certain to continue to flourish as long as the digital marketing niche keeps expanding. This is owing to so many factors, one of which is the age and length of existence of the coin. Some coins are almost as old as the advent of digital marketing itself, they have seen the good, the bad and the ugly side of the market and they have fought to survive any means of frustration, rejection or seemingly impossible situation to find their way to the top. One of this kind of coins is the Bitcoin. Some other coins can also be relied upon to a great extent, especially when compared with other coins due to its level of tentacle spreading. Some coins already have their roots deeply dug into the heart of the economy, such that a collapse of this coin will almost ultimately lead to the whole market collapse. Some coins are not also owned by individuals or organizations but the government itself and this kind of coins to a great extent can be said to be reliable when it comes to stability and optimum delivery. Any crypto investor and trader will definitely want to know what is really what and how best to approach each coin in order to get the best from it. 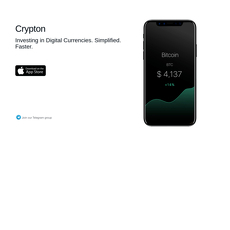 Cryptolink has however made it easier for all traders, investors and real crypto enthusiasts by bringing of the top sites that rank the crypto coins together on one platform. 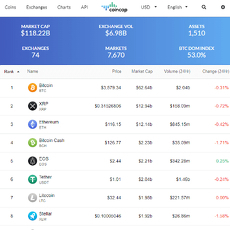 Crypto Price Tracker is a collection in cryptolinks, of the highest ranked sites who follow the trend of all the coins and carefully rank them according to how well they have grown and developed over time. 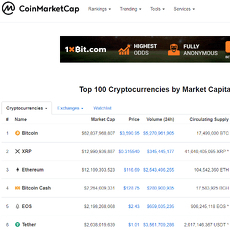 Top sites are on this platform which gives anyone interested in the market a clear-cut definition of the latest events, value and all that needed to be known about the top 100 coins available. 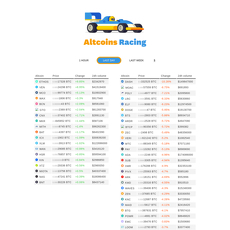 Sites like coinmarketcap, coingecko, coincap, cryptalert, cryptovue, Lawnmower, Crypton App, and Altcoin racing. These platforms are sites and apps which gives real-time analysis of the available coins and rank them accordingly. Many of them have up to 100 coins well ranked, they also provide a platform where you can check the latest information about the coin as well as its value in the market. 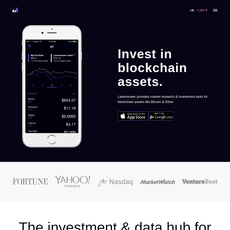 Some of these sites deliver 24 hours overview of the market to the general public as well as giving a graphical representation of how the market has appreciated and trended over the past weeks. For any enthusiast or real-time investor who really needs to know how the market is affecting a particular coin and vice versa, then, the cryptolinks created a platform for price tracking is just the right place to get all you want. 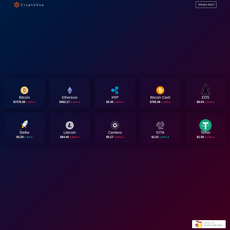 These sites are not dormant but are always active; this implies that there are no fixed positions of the various coins available on this platform. 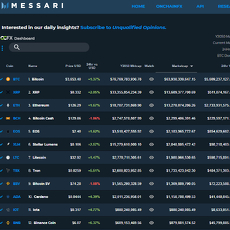 Anything can happen in the market at any time which can grossly affect the coin either by increasing its relevance or decreasing its market value as soon as this is detected, it is instantly noted on these platforms thus giving UpToDate information about all the coins. On a concluding note, information given by these websites are reliable as they go into the heart of the market itself to get what it is really needed, the prune the work and subject it to analysis before delivering it to the members of the public.